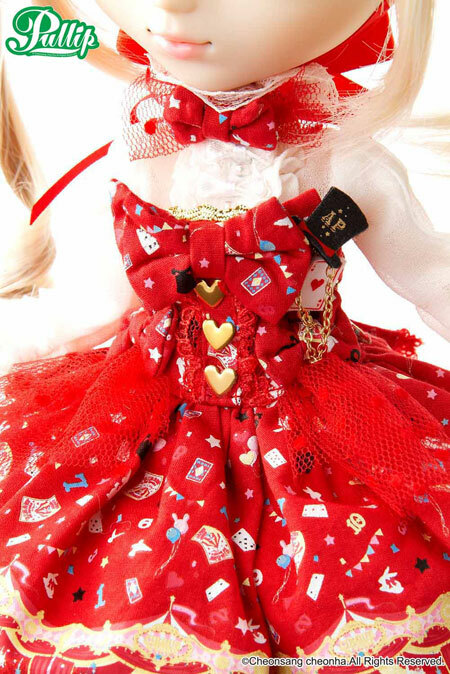 In 2011, Groove collaborated with Japanese clothing company Angelic Pretty to release a second series of dolls based on their clothing designs. 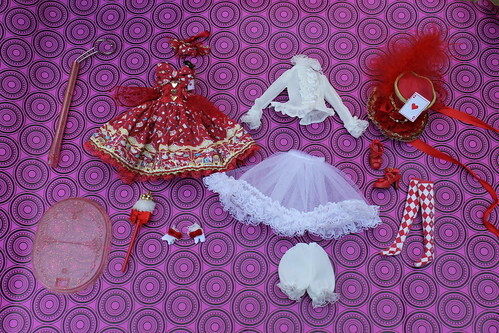 The first series of Angelic Pretty collaboration dolls was released in 2009. 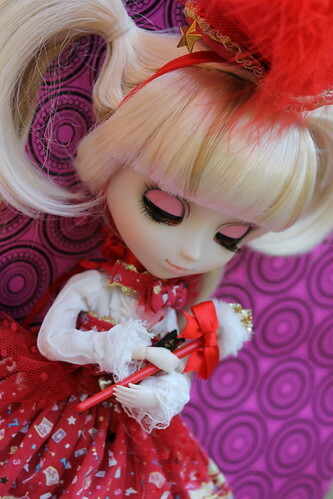 Pullip Prupate, Byul Sucre and Dal Joujou were released simultaneously in March of 2011. 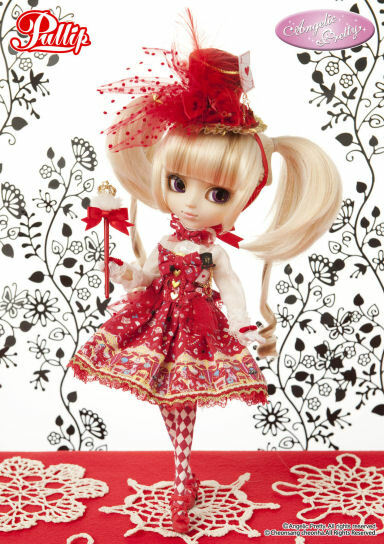 Pullip Prupate wears a recreation of Angelic Pretty’s Star Night Theater series of clothing. 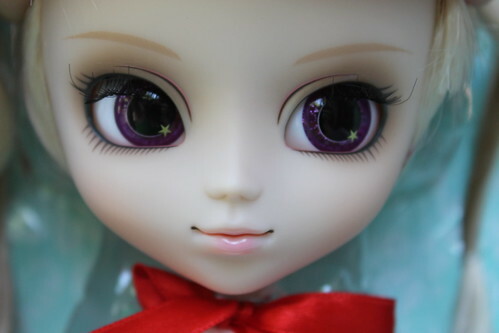 Eyelids: Pink- Better close up coming soon! 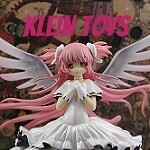 Wig: Light blond wig with some darker golden blond streaks. 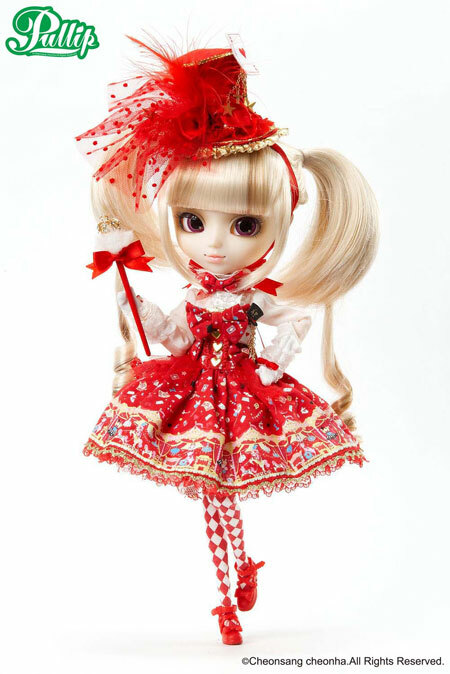 Stock: Pullip Prupate’s stock consists of a dress based off of the Angelic Pretty Star Night Theater Bare Top JSK link, a hat based off of the AP Star Night Theater mini hat link, long sleeve blouse, choker, petticoat, bloomers, socks, shoes, gloves and a wand.